There are two things I require for a long distance car trip. The first is an audio book. A good book, well read, keeps my mind alert, eyes on the road, and thoughts away from, “Are we there yet?” It’s amazing how much faster a trip goes when you are caught up in a narrative rather than counting down the miles. 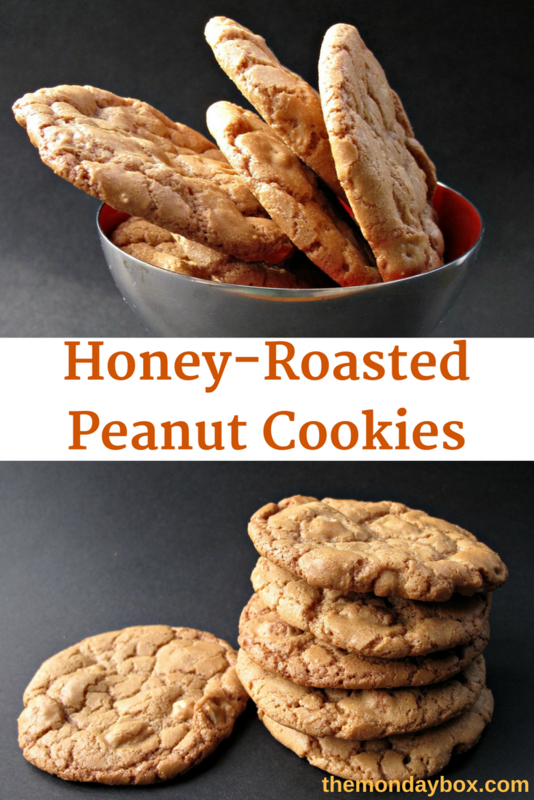 My second requirement is honey-roasted peanuts or Honey-Roasted Peanut Cookies. 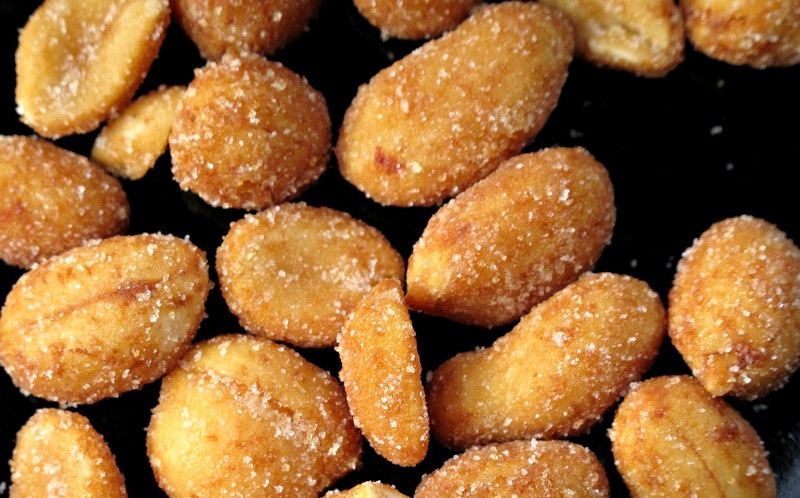 Though I am allergic to tree nuts, peanuts are a different category of allergens. I love honey-roasted peanuts. I choose to ignore the added sugar and focus instead on the high quality protein. Plus, I deserve a treat for making the long drive. Having two kids who, happily for me, chose universities within a 6 hour drive from home, I have listened to a lot of great books and have eaten a lot of honey-roasted peanuts. So, it makes sense that when I came across a recipe for Honey Peanut Wafers , while reading Nick Malgieri’s The Modern Baker (yes, I listen to novels and read cookbooks), I had to make them immediately. They were thin and crispy and full of honey-roasted deliciousness. Unfortunately, the next day they were still tasty, but all crispness was gone. They were as chewy as taffy. I don’t know whether it was undercooking on my part or the combination of ingredients, but I was disappointed to find that these were “best eaten same day” cookies. Not a care package possibility. 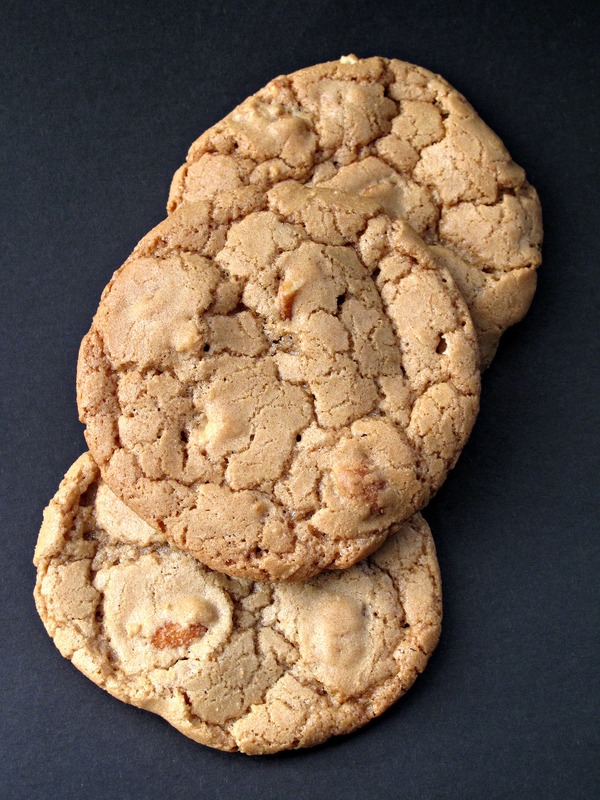 However, now that the idea for a crunchy Honey-Roasted Peanut Cookie was in my head, I couldn’t let it go. I tried playing with several recipes. They tasted good but the textures weren’t what I was hoping for. 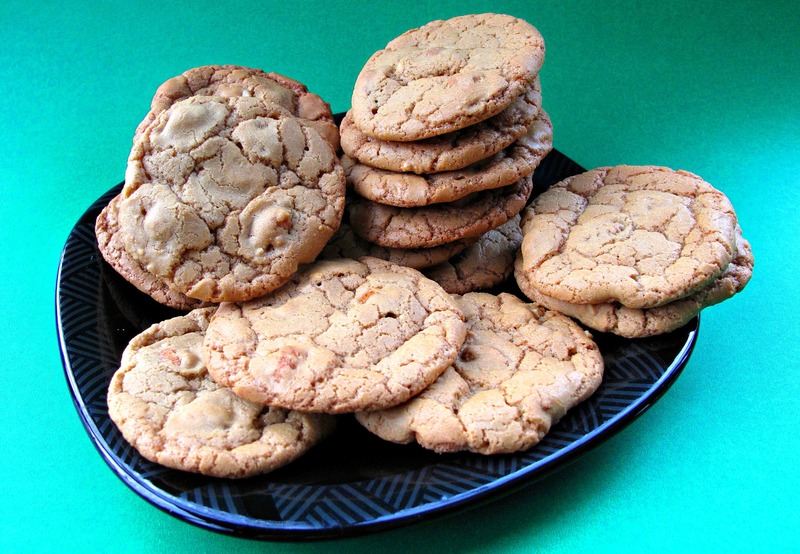 Then I found a recipe for Peanut Crisps from Martha Stewart. I substituted honey-roasted peanuts for regular ones and BINGO, I found my cookie. 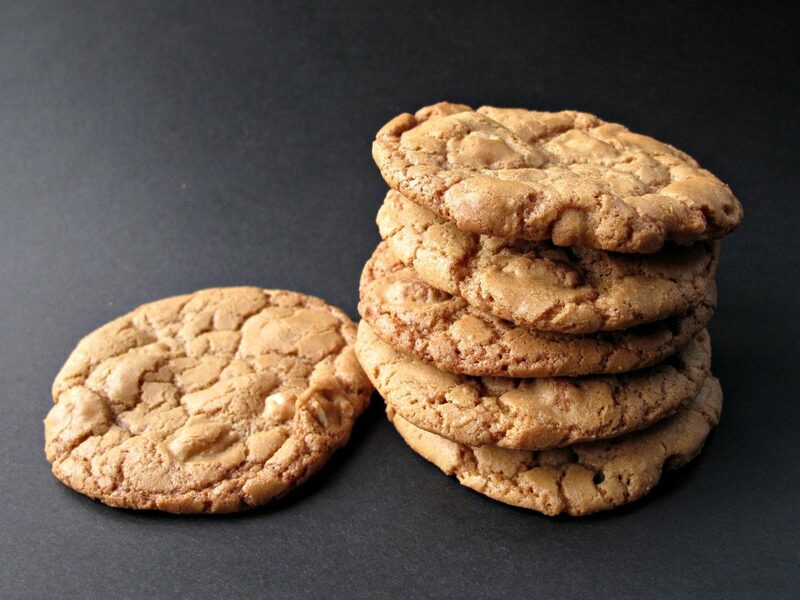 Honey-Roasted Peanut Cookies taste like honey roasted peanuts, not like peanut butter cookies nor vanilla cookies. The first day, they are crunchy all over. By the second day, the center softens but the edges stay crisp. I think the flavor might even intensify a little. 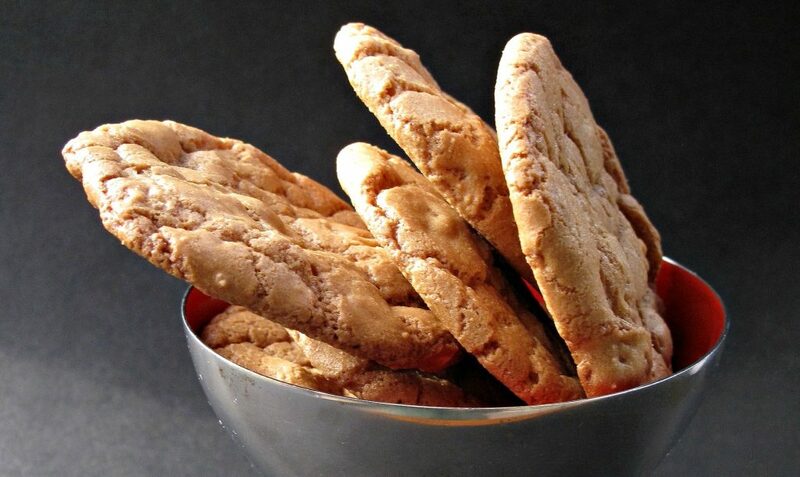 The cookies maintain this texture and taste for (as far as I know, due to consuming them all) up to 10 days. Using an electric mixer, cream together the butter and sugar, about 2 minutes. Lower mixer speed and add egg and vanilla. Raise speed and continue mixing until light and fluffy, about 3 minutes. On low speed, gradually add flour mixture. Mix until combined. Using a small cookie scoop (2 teaspoons) place dough on prepared baking sheet about 3 inches apart. Using finger tips (moisten slightly if sticking) flatten the dough balls slightly to 1 ½” diameter. Bake 10-13 minutes, until edges are golden. Don’t under cook or the cookies will not be crunchy. Cool on wire racks. Store at room temperature for up to 10 days in an airtight container. Wrap cookies in plastic wrap in pairs with bottoms together. Place wrapped bundles in an airtight ziplock bag or container for storage. For optimal crunchy texture, store at room temperature for up to 10 days. I was really excited to find your blog, Amy. Every recipe looks delicious to me! I plan to try several of your recipes soon. 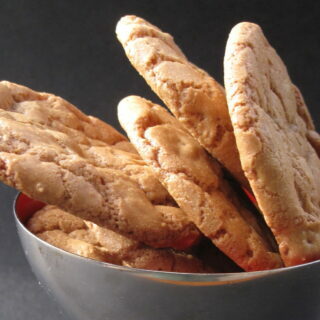 I hope you try these cookies and let me know what you think. You are right about being blessed. Both of my kids chose schools about 6 hours from St. Louis. Six hours is a very do-able drive. My daughter liked monthly visits. My son enjoys a little more independence 🙂 No one complains about cookies though. Thanks for following my little blog! 🙂 These cookies look great… and we totally do the audio book thing for our road trips! You are so welcome, Beth. I am enjoying catching up on your recipes! Audio books make the trip go so much faster don’t they? I am absolutely in awe of what an amazing resource the public library is! Now these are the type of recipe reviews I love! Pinned. is it me? but directions say add eggs, but ingredients don’t say eggs. I started to make these and noticed this. I hope it’s 2 eggs because it says eggs. Guess I will find out. Hi Genevieve. I am so sorry about the missing ingredients and the strange instructions. You, of course, were correct in that there was no egg in the ingredients but the directions said to add “the eggs”. I would have done exactly what you did and added two eggs. This recipe is from 5 years ago, so I will have to look back at my baking notes. In the meantime, I looked at both recipes from which this one was adapted and both called for 1 egg. I changed the recipe to correct for the missing egg and will see if I can find my baking notes to see if that quantity is correct. Again, I apologize for the error and hope that your cookies were a success even with an extra egg.